The new shopping gallery LOOM Bielefeld opened its doors in October 2017. Three interactive kiosk systems are available to familiarize visitors with the new ECE Center. Here, visitors can find out about the offer and see the way to the individual shops as a spectacular and authentic 3D animation. 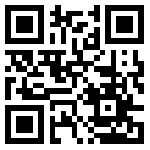 Via QR code, the 3D animation can be loaded onto the smartphone. The search for a destination is very easy via the menu, the virtual keyboard or keywords. At the same time as the 3D wayfinding sytem the LOOM Bielefeld installed the Car Finder, so visitors quickly and easily find their parked car again. More information here.